What would it cost me if the bond is passed? If approved by voters, the 2017 bond would “step in the place of” expiring debt. This would result in no increase to the school’s current millage rate while generating $14.4 million to improve the facilities that serve our elementary, middle and high school students. What are the key areas of investment? Key areas of investment would include expanded classrooms, technology upgrades, including a new phone system and improved Internet access for classroom instruction, fitness and cafeteria updates, as well as added security and replacement buses. Why is there an investment planned for buses? If approved, this dedicated funding would allow the district to replace buses that are ready for retirement. This would avoid use of the school’s general fund budget for unexpected maintenance and repairs to buses that are past their useful life. What are the specific technology investments in this proposal? If approved, this bond would improve Internet access, providing students with greater access to instructional videos and information for research purposes. It also would provide additional technology devices in the classrooms, so each student would have a device to use in class. 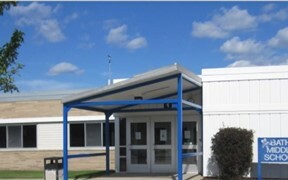 How did the school decide on which investments to include in this bond proposal? 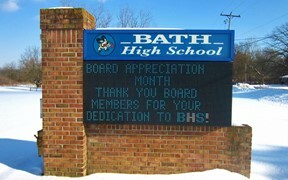 Last spring, the Bath School Board formed the “Bath Facilities Improvement Committee” (B-FIT). This group, comprised of parents, teachers, school board members and other community members, developed a recommended set of priority projects. The committee made use of a thorough needs assessment conducted within each building. The committee held three community forums and used surveys to gather community input and feedback. 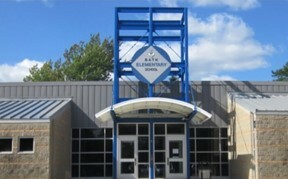 The Bath School Board voted unanimously to support the B-FIT recommendations and received Michigan Department of Treasury approval in December 2016. When was the last bond issue passed in Bath? Why pursue a new bond issue now? 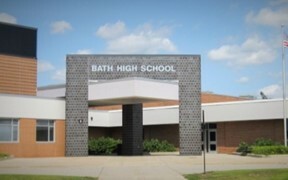 The last bond issue in Bath was proposed and passed in 2004, the same year our graduating seniors entered Kindergarten. Pursuing a bond in 2017 allows the district to prepare for projected enrollment increases and leverage expiring debt to invest in our schools without increasing the millage rate for homeowners. Where do I get information about voting? The Township Clerk has information about voter registration, absentee voting and polling locations. The deadline to register for the May 2 election is April 3.